For over 30 years, we have built a business based on integrity. Integrity is an adherence to moral and ethical principles, sound character and honesty. In simpler terms, this means doing the right thing for our customers and employees. We have been a BBB accredited business since 1984 and maintain an A+ rating. 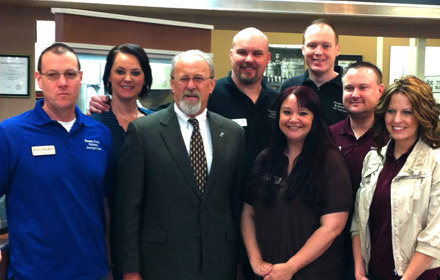 In 2012, we were a proud recipient of the Better Business Bureau’s Torch Award. This award honors businesses that have demonstrated a commitment to ethical business practices, both in operations and in integrity, reliability and responsiveness to employees, vendors and customers. The BBB Ethics Award is the symbol of the highest ethical standards a business can have.